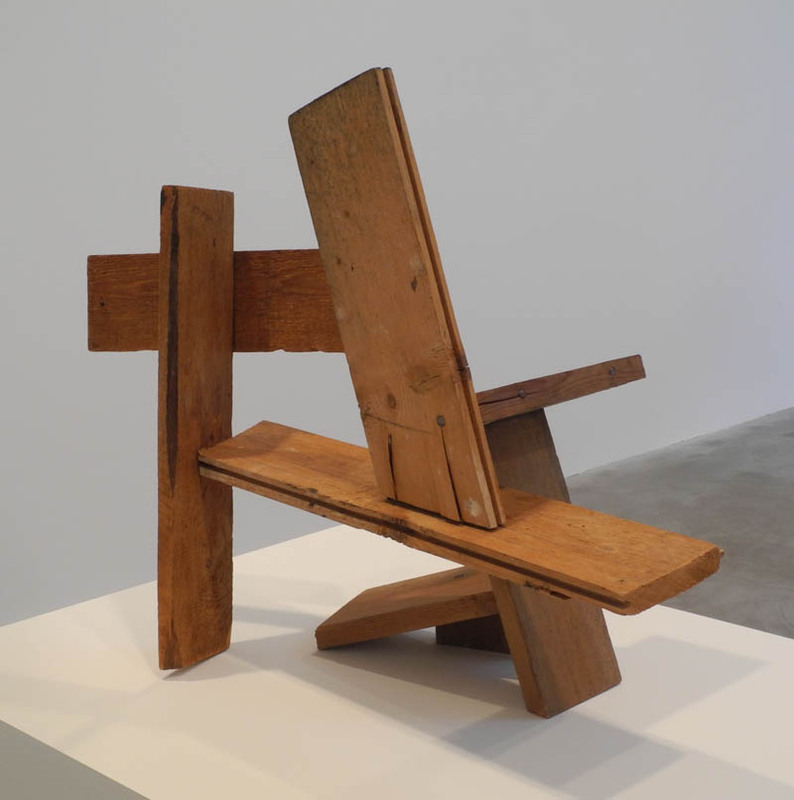 Tony Smith, Untitled, 1954; wood, 21 3/8 x 20 1/2 x 12 in. Currently at Matthew Marks Gallery is a charming small show of five works by two friends––Tony Smith and Jackson Pollock––as a centennial celebration of their birth in 1912. 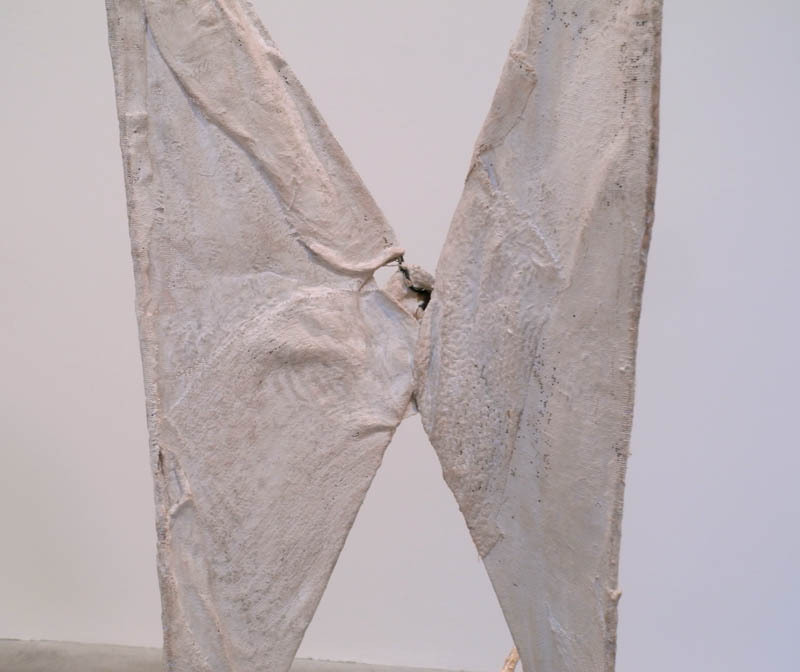 The sculpture on view is a surprise, departures from what we think we know of these artists' work; they have a sense of play, of "why not try this?" 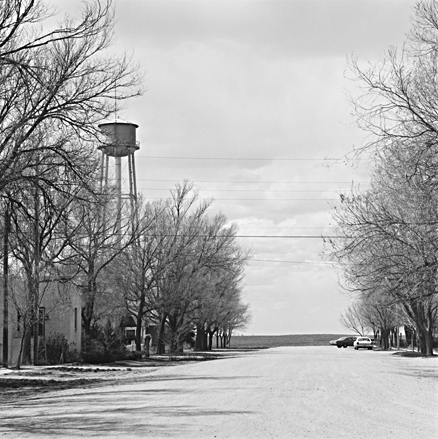 The three Smith pieces were made before he even considered himself a sculptor; at the time he was working as an architect. This piece has an informal energy from its angled planes and ordinary materials. 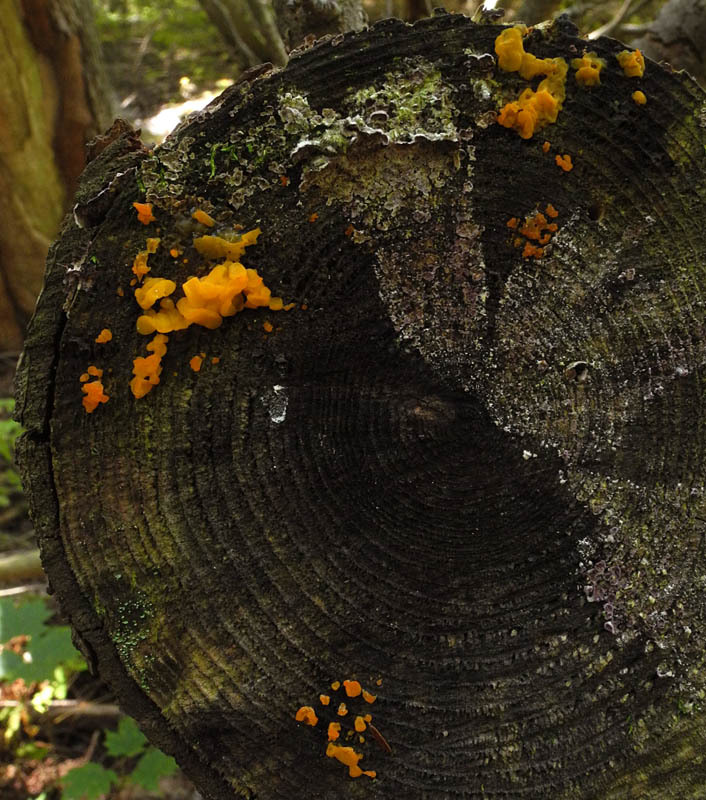 It looks as though the wood was picked up from a scrap heap somewhere. I like seeing the pencil line indicating where to hammer the nails; places where nails have split the wood add poignance. 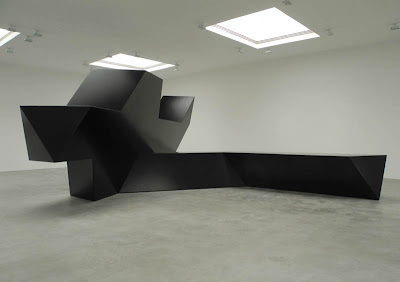 Tony Smith, Untitled, ca. 1956; wire and canvas, 47 1/2 x 12 1/2 x 12 in. 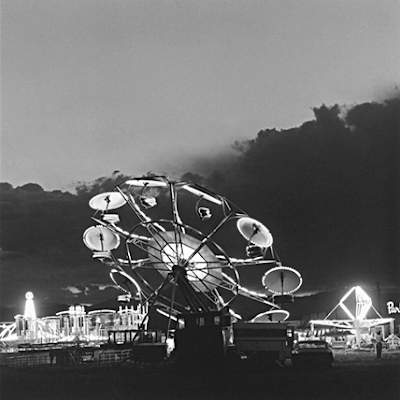 Who would have guessed that the artist later to make huge geometric steel sculptures (see the final photo) would create this whimsical tottering tower? A detail looks like the wings of a butterfly. 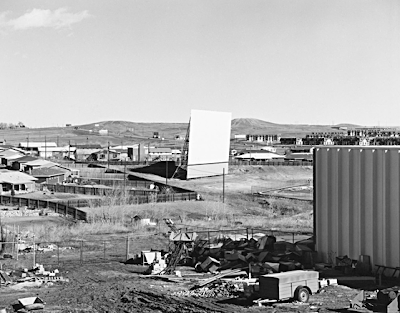 Tony Smith, Untitled, 1956; concrete, 3 3/4 x 8 3/8 x 6 5/8 in. And if you think this looks like and egg carton....well, you're correct; Smith poured concrete into an egg carton to make this. 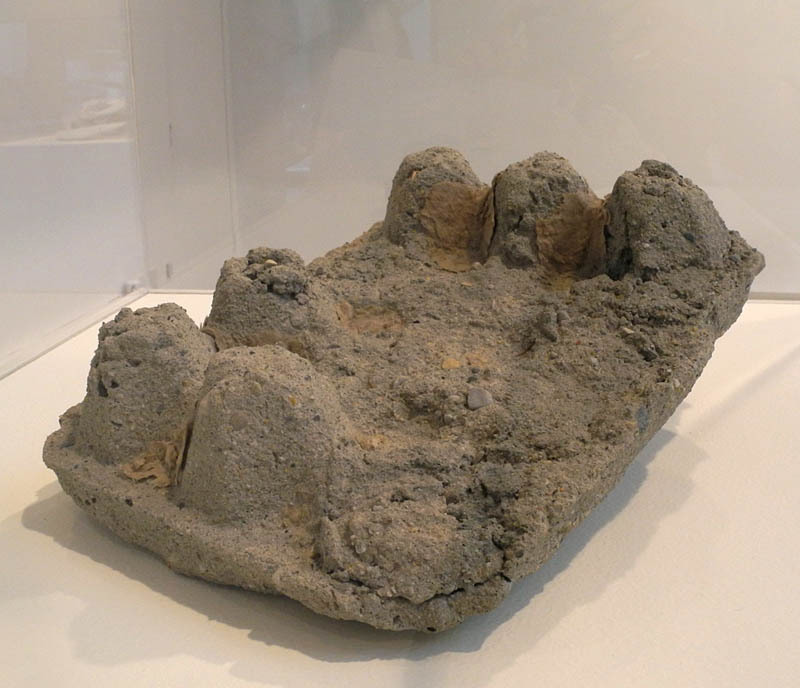 This small sculpture, looking like a rough landscape with rows of round clay houses, and the Pollocks were made one weekend at Smith's house. It must have been fun, don't you think? working outside both of their usual areas of expertise (though Pollock had made other sculpture and three dimensional objects). 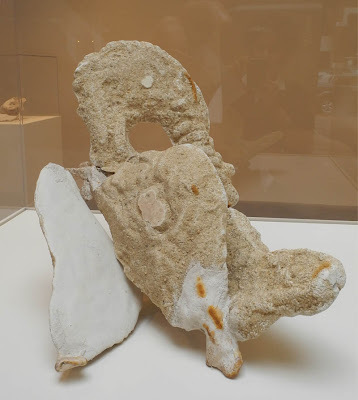 Jackson Pollock, Untitled, 1956; plaster, sand, gauze, and wire, 9 x 12 x 5 in. 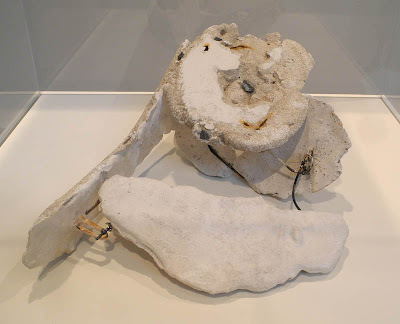 The Pollock sculptures have a look of things unearthed, or of debris from a construction site. Jackson Pollock, Untitled, 1956; plaster, sand, gauze, and wire, 12 1/4 x 12 x 17 1/2 in. The rough sandy surfaces are richly juxtaposed to the refined whites of plaster; the bits of rust and wire add linear elements. These little sculptures are not great works, but I love imagining Smith inviting Pollock to play with sand casting in 1956, the last year of his life, during which he drank and did not paint. I remember that at the large Pollock retrospective at MoMA in 1998, his late works intimated a return to the figure, and this little piece, in this view, looks like a body reclining. 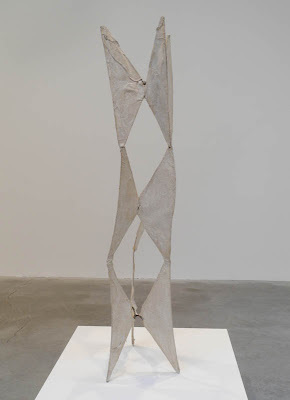 Down the block from the modest small show, at another Matthew Marks Gallery location, was a monumental Smith sculpture, dramatic in the cavernous space, a piece more typical of his major works. My mood the day I saw these shows was sympathetic to the small and off-handed and cold to the large and fabricated; I enjoyed seeing those funky early Smiths, handmade, irregular. Although my own work is now very small, with some of it precise and some casual, I'm not generally averse to large work. I love Richard Serra's sculpture (I wrote about a recent show here); but I questioned the huge size of Frank Stella's Irregular Polygons here. I find the gigantic work of Anselm Kiefer oppressive and battering, but love Pollock's enveloping canvases. On the other hand, small work can sometimes be precious. There have been times when small works have been overlooked (I remember that in art school, lo these many years ago, my teacher Philip Pearlstein telling me to work at least as large as a "good sized Cézanne") but I don't believe it's the case now. 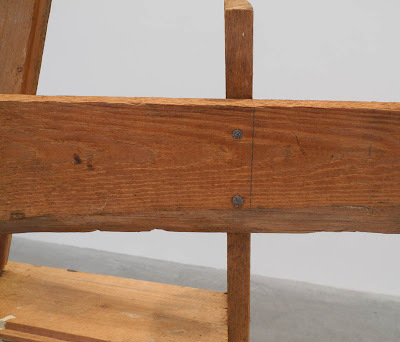 Part of a work's meaning resides in its size, so large or small, the artist must convince us that it is "just right". A New Painting: "Two Circles"
Two Circles, egg tempera on calfskin parchment, 9 x 6 3/4 in. While working on this painting I decided to move it away from the real world and closer to a stranger and more abstract one; I eliminated two bolts that were centered just above the two circles in the original image. The bolts were detailed and specific; without them the composition becomes a more generalized one, though still having illusionistic form and light. I like the tall verticality of the painting, the blue and green rectangles, ending in the warm-colored circles above horizontals. 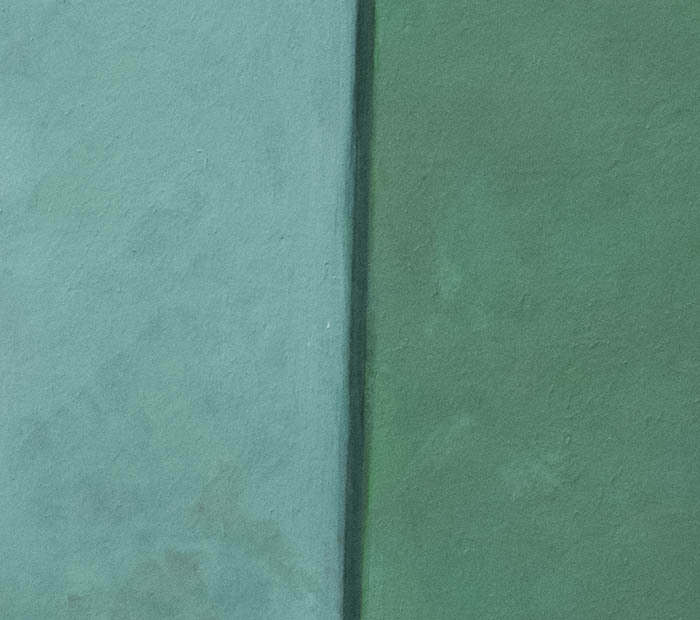 I've posted these two details hoping to give you a better sense of the paint surface (click to enlarge). When I work on a painting with large flat surfaces I often flick my brush in a painterly way, using subtle variations of the main color; with humor, I like to think of these areas as my miniature painterly abstractions. 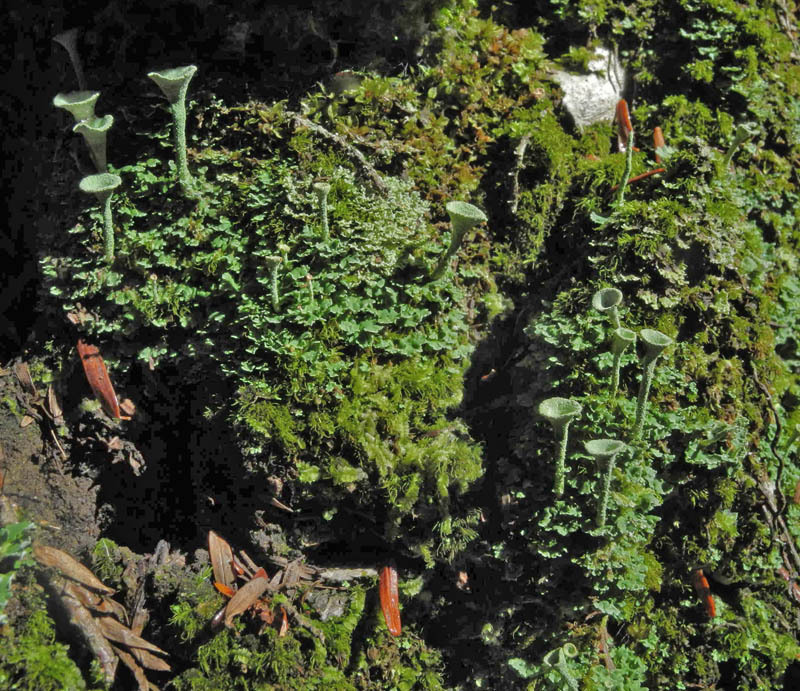 Some lichen have cup shaped structures, and are called, appropriately Pixie Cup lichen. 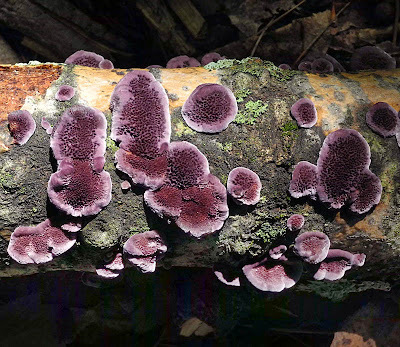 The fruiting bodies are very small, maybe 1/2 inch high, so to photograph them I am usually down on my stomach, peering into what becomes for me a new way of seeing; the world is encompassed in a square foot space, in which there seems to be as much incident as in a square mile. 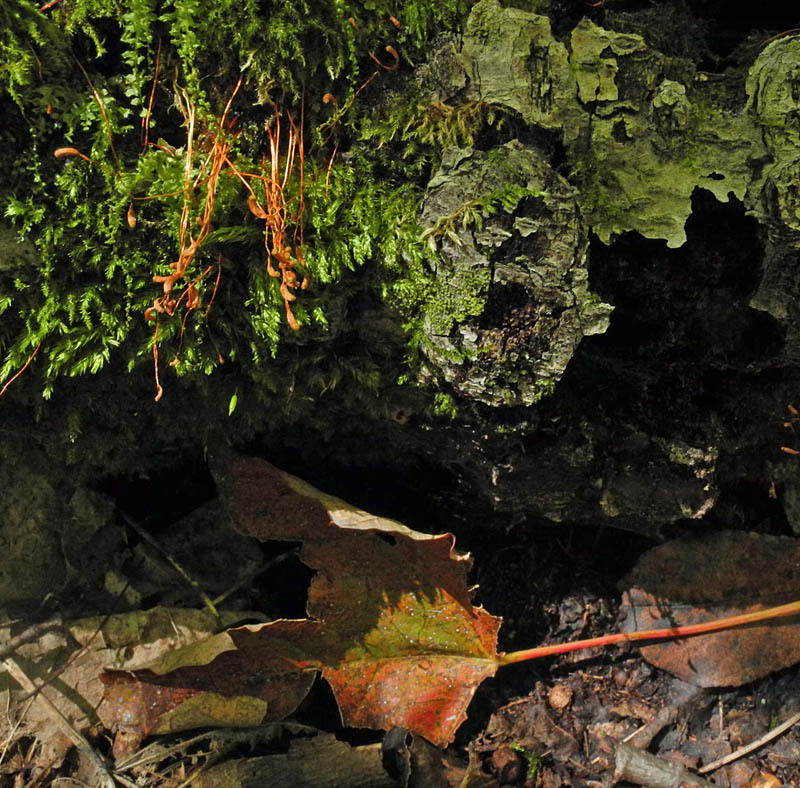 Some mosses also have fruiting bodies, here in delicate red filaments paying homage to a fallen leaf. 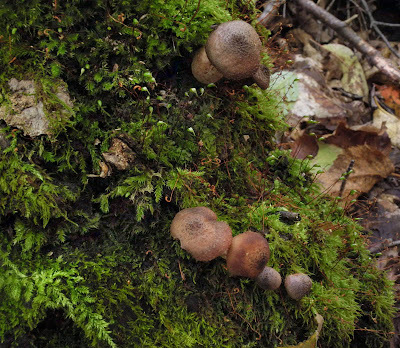 In this photo there are the fruiting bodies of mosses––those small threads topped with a bulbous form almost like a dressmakers pin––and of a fungus, because of course, mushrooms, which contain spores, are the fruiting bodies of fungi. 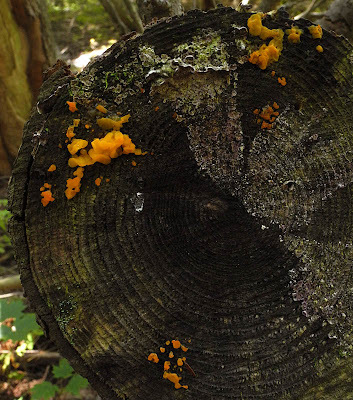 I love the orange jelly mushrooms, which look as though they are squeezing out of the wood; their translucent brilliant color is very eye catching. 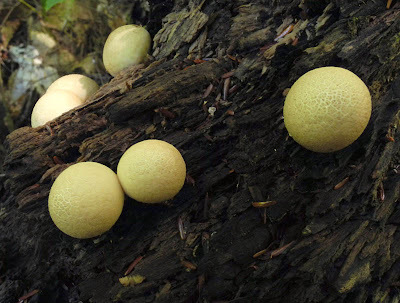 Small puffballs are also popping up in the woods, and large ones on my lawn; matter of fact, I had a puffball sauteed in butter with lunch today, delicious! Seeing the retrospective of the work of Robert Adams at the Yale University Art Gallery is an intense and revelatory experience. Adams is an intent observer of the everyday, bringing a remarkable clarity and richness of detail to views we might pass by without a glance. 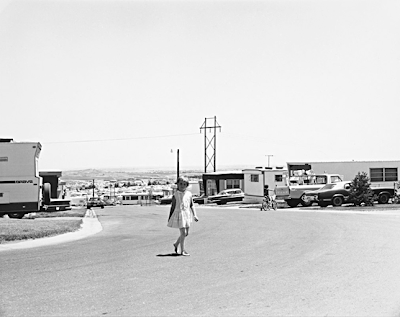 In his modest (his earlier photos are around 5 inches across) black and white images, he seems dispassionate, showing what there is to be seen without drama; he says "here it is" and we are invited to look closely, to have an intimate experience. The exhibition, though, brings us an impassioned artist whose words and body of work combine into a heartfelt and deep exploration of his world, the American West. He shows a land of openness, of grandeur, too often despoiled. Mystery in this landscape is a certainty, an eloquent one. There is everywhere silence––a silence in thunder, in wind, in the call of doves, even a silence in the closing of a pickup door. 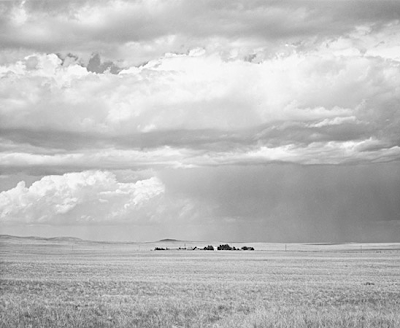 If you are crossing the plains, leave the interstate and find a back road on which to walk; listen. 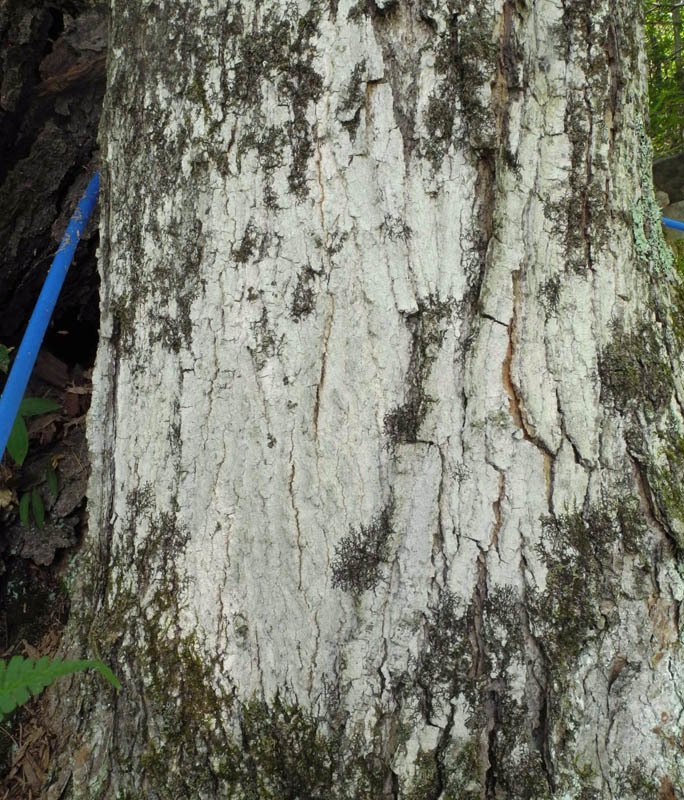 Many have asked, pointing incredulously toward a sweep of tract homes and billboards, why picture that? 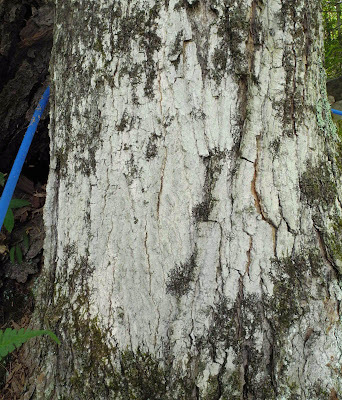 The question sounds simple, but it implies a difficult issue––why open our eyes anywhere but in undamaged places like national parks? 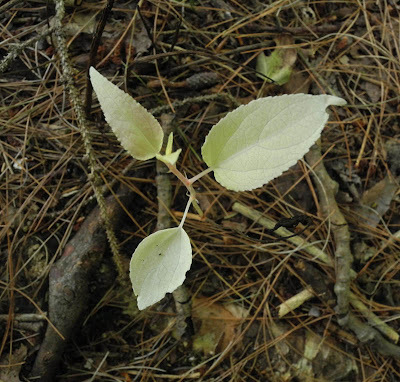 Paradoxically, however, we also need to see the whole geography, natural and manmade, to experience a peace; all land, no matter what has happened to it, has over it a grace, an absolutely persistent beauty. This is one of my favorites of Adams photos. 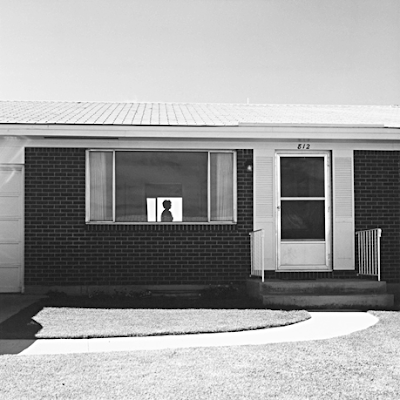 It is so matter of fact––a plain ranch house, a well manicured lawn, a curving path to the rectilinear building––yet so poignant in the dark figure captured indoors against the light of another window. It seems close to Edward Hopper's paintings of lonely figures in interiors. The pictures record what we purchased, what we paid, and what we could not buy. They document a separation from ourselves, and in turn from the natural world that we professed to love. 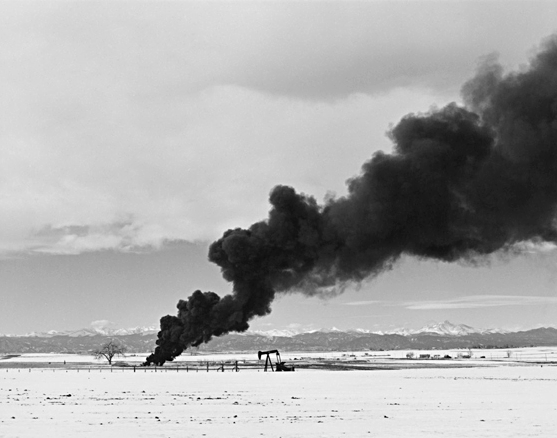 Even in his image of burning oil sludge, Adams steps back and offers a restrained view of the damage wrought. I've been thinking about how different his approach is to someone like Edward Burtynsky, another great photographer with environmental concerns, who makes large, dramatic images. With one, you come close (with reading glasses for me) and look quietly, with the other, you stand back, awestruck. 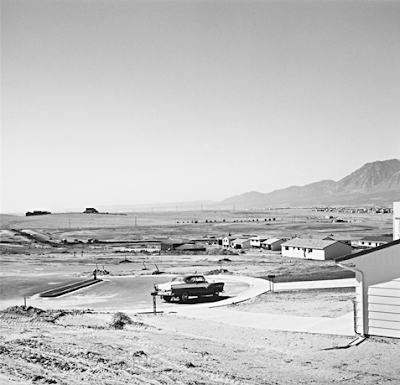 Adams' landscapes are mostly unpeopled, but when we see figures, they are usually at a distance, part of the world they inhabit, not dominating it. 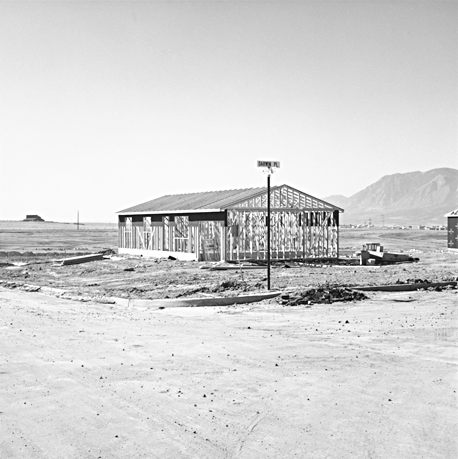 Still photographs often differ from life more by their silence than by the immobility of their subjects. 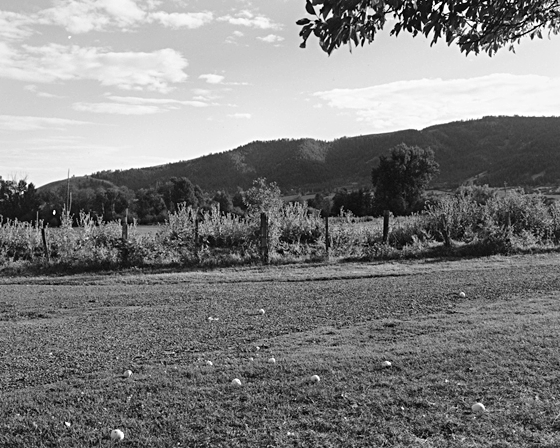 Landscape pictures tend to converge with life, however, on summer nights, when the sounds outside, after we call in children and close garage doors, are small––the whir of moths, the snap of a stick. 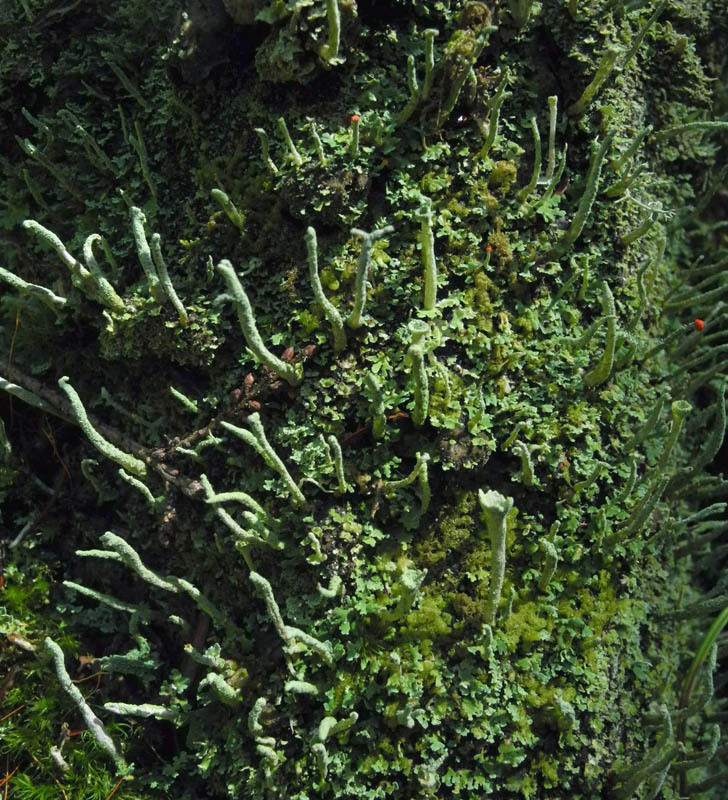 Adams now lives in Oregon, where he has photographed the clearcutting of forests in the book Turning Back. He also captures completely ordinary moments, a scattering of apples on the ground. 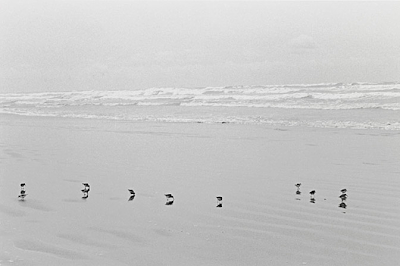 Photography is inherently fragmentary, and I find I base my faith on perfect moments. A syncopated line of birds along the shore; again the silence, and again the eloquent words of Robert Adams, pairing with his images to create a powerful life's work. Stanley Elkin suggested that "all books are the Book of Job". Certainly many writers and picture makers want to repeat in a fresh way what the voice out of the whirlwind said, that we are not the creator, and that rather than ask an explanation we ought to attend an inventory of wonders––the Pleiades, the morning star, the sun, the rain, the grass, the raven, the whale. Common to each is beauty. And so a promise. 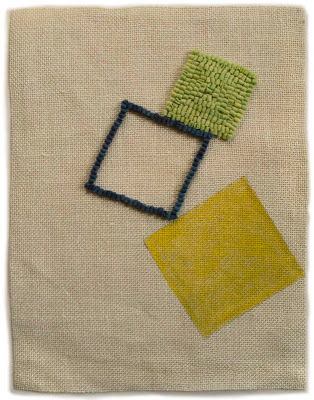 2012 #16, hand dyed wool and egg tempera on linen, 14 1/2 x 12 in. I thought I'd play with the idea of movement in these two new hooked drawings. In #16 I was wondering if I could place forms against one edge in such a way that the composition would tilt and topple a little, but ultimately feel balanced. 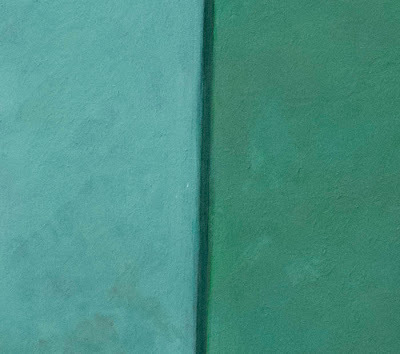 I put the heaviest weight, the fully hooked green square at top, then an open square, then a painted one, thinking the shift from heavy to light would make the shapes more buoyant. 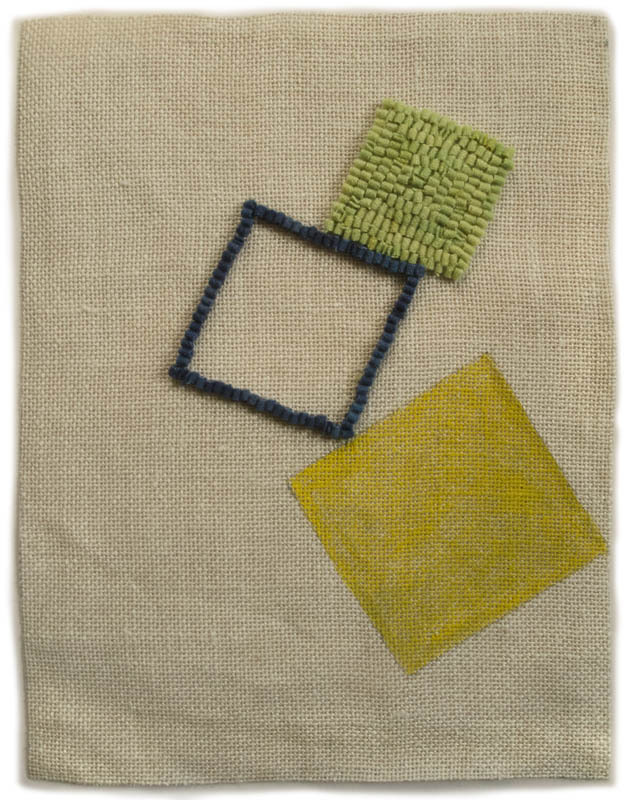 2012 #17, hand dyed wool and egg tempera on linen, 15 x 11 1/4 in. For #17 I was thinking of a ball rolling down, or bouncing off a wall. My aim is that the two circles animate the space between them, with the red bar as an anchor. 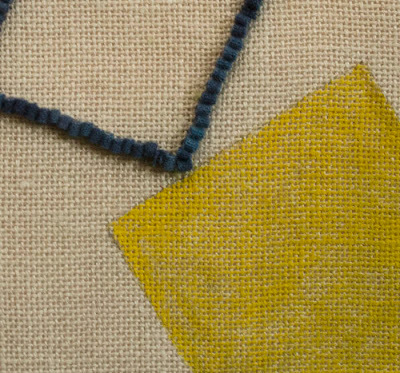 In this detail you can see more clearly how the paint sits on the surface of the linen. 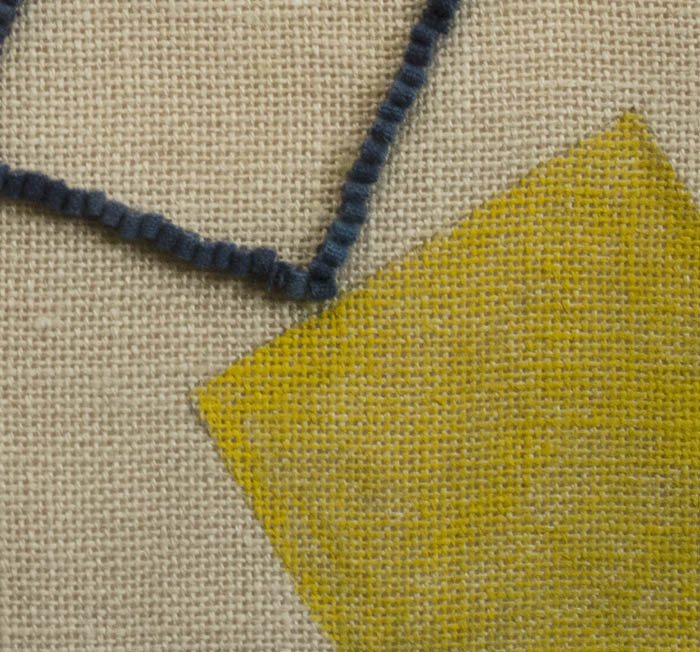 I varied the yellow of the square, making it a little greenish-darker at bottom to help with the balance. Most of my hooked wool drawings have the shapes clustered at the center, so I enjoy at times trying to engage the full working surface. 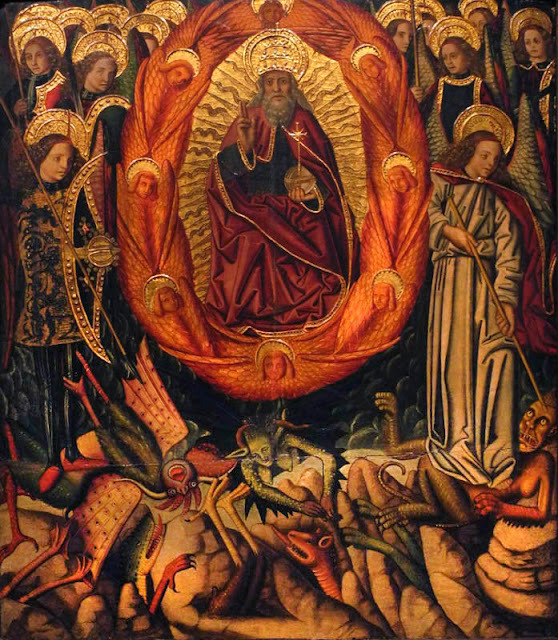 Miguel Ximenez, God the Father and Saints Crushing Demons, ca. 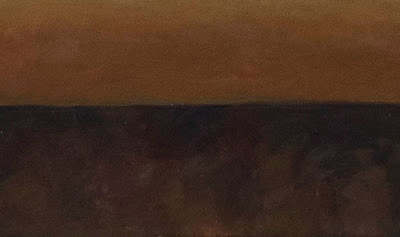 1490; tempera on panel, 37 1/4 x 26 1/2 in. framed. 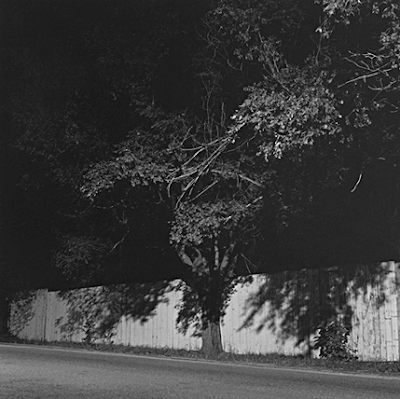 On my way home from NYC yesterday, I decided to stop in at the Yale University Art Gallery to see the Robert Adams photography retrospective, which was terrific; I'll write about it soon. I hadn't been to the museum in many years and didn't know that it had a large expansion, which enables a fuller display of its considerable collections. I had a wonderful time wandering around taking photos of paintings and objects (a post on African art is to come, too) that caught my eye. When I walked into the European Renaissance rooms, the first thing that engaged my attention were the wild demons at the bottom of this extravagant panel painting. Medieval artists seemed to have marvelous fun inventing the wacky forms of devils. 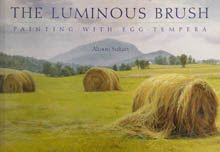 The painting gave me a theme for this post on a few of the great paintings at Yale. 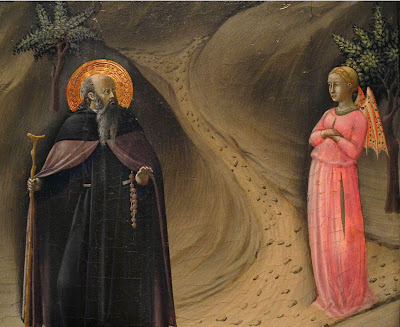 Master of the Osservanza, Temptation of Saint Anthony Abbot, ca. 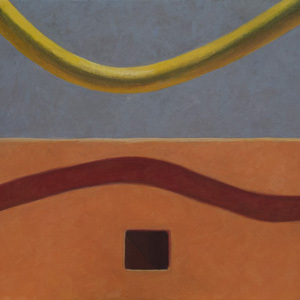 1435-40; tempera on panel, 14 1/2 x 15 in. Here the devil has appeared in the guise of a beautiful woman to tempt Saint Anthony. I had forgotten that Yale owns this painting, one of my favorites of a favorite artist. I love the way the Master uses clear, crisp forms and punctuated bright color. The disturbed facial expression of Anthony, his lifted hand, show his quiet resistance. 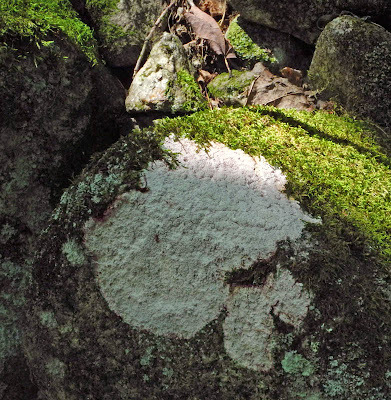 The landscape is dry and bare, with a river of rocks flowing down hill. 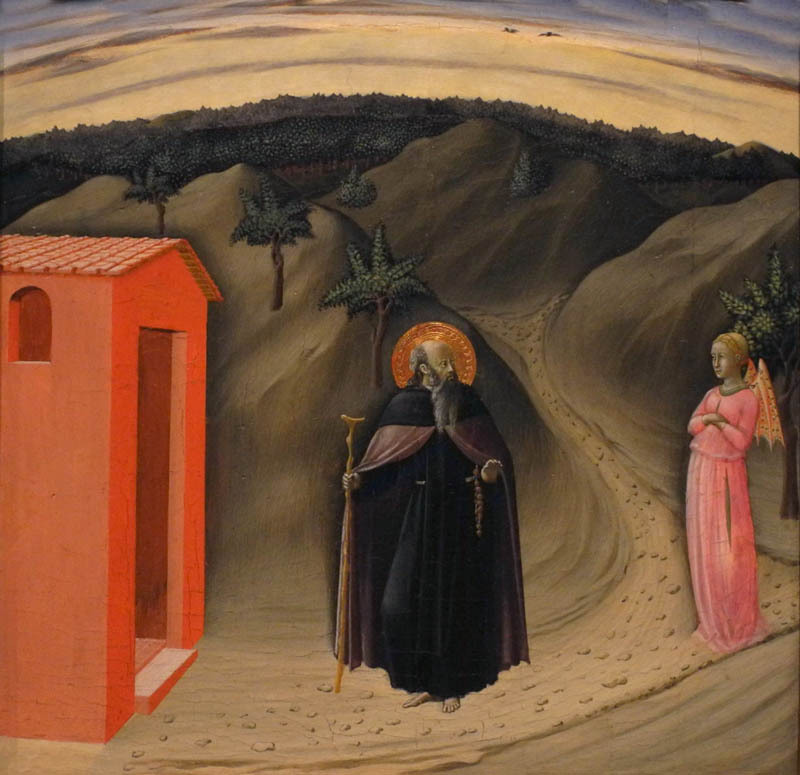 Sano di Pietro, Saint Anthony Abbot Tormented by Demons, ca. 1435-40; tempera on panel, 18 11/16 x 13 1/2 in. 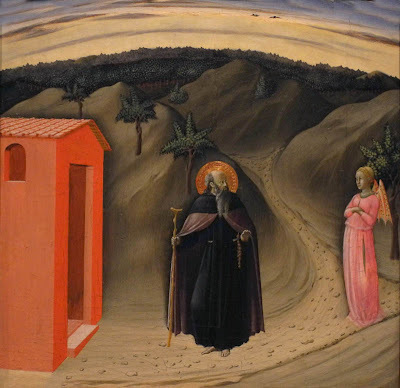 The works of the Master of the Osservanza were once thought to be by Sassetta, but from this painting we can see they might have also been assigned to Sano di Pietro. 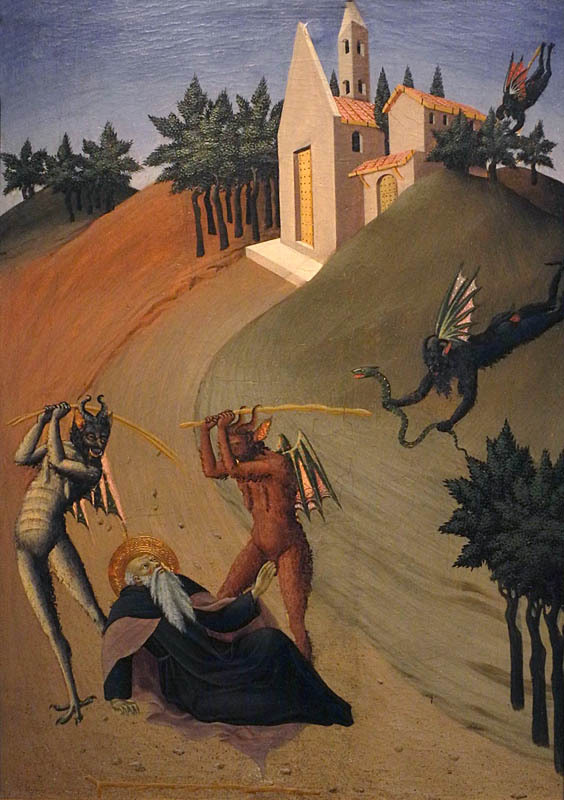 Poor Saint Anthony is here being beaten by devils with fearsome faces. 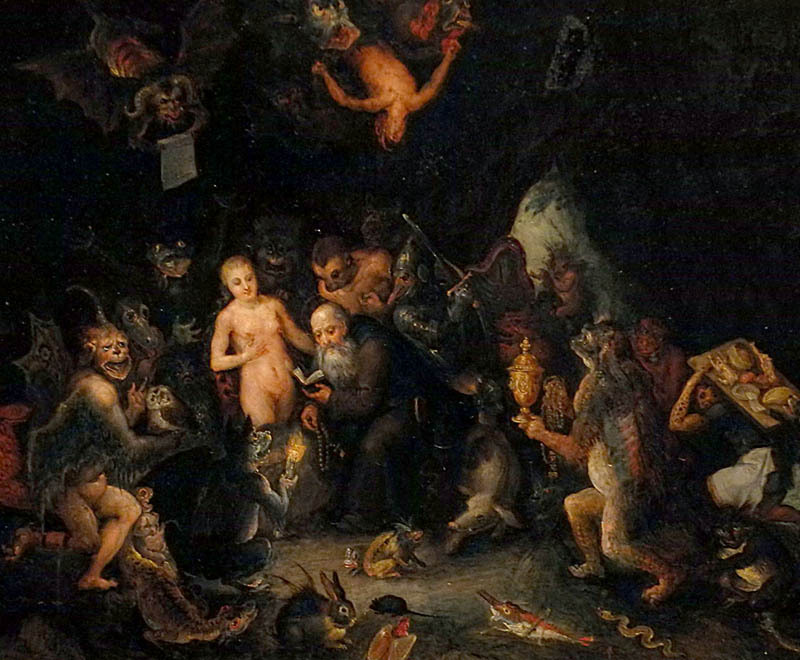 Jan Brueghel the Elder, The Temptation of Saint Anthony, 1594; oil on copper; detail. To continue the Saint Anthony theme in a later painting, here is a crowd of devilishness and temptation (click on images to enlarge, as always). 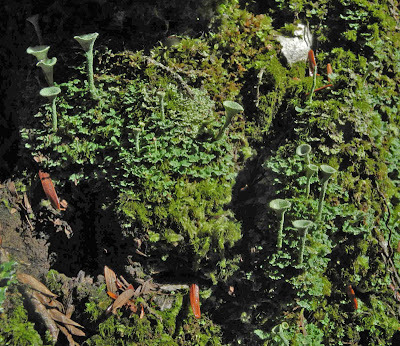 I can almost hear the raucous noise of all those strange, nasty creatures. Hieronymous Bosch, An Allegory of Intemperance, ca. 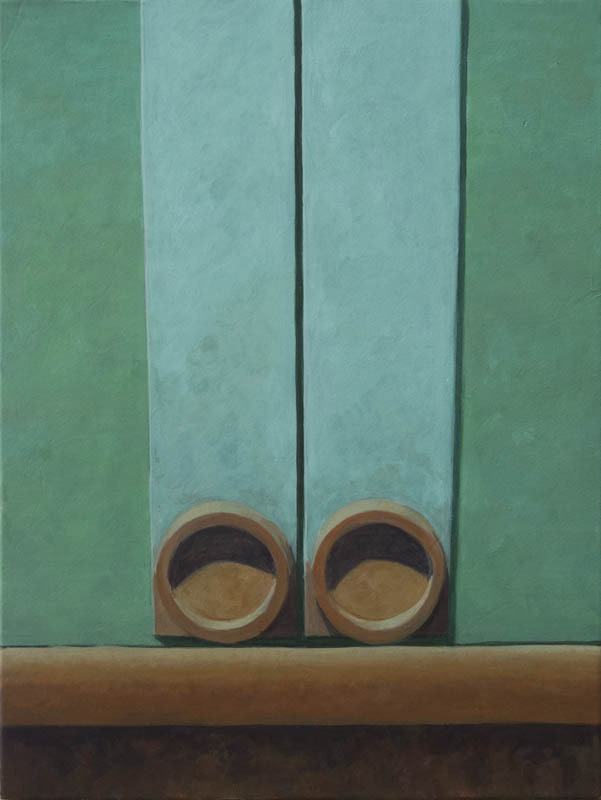 1495-1500; oil on panel, 14 1/8 x 12 3/8 in. 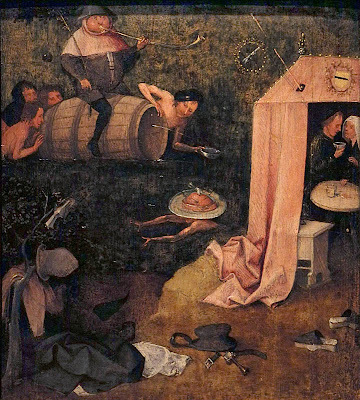 I think that Bosch is the most inventive and imaginative painter ever, especially when he turns his brush to sins and the dark side of human nature. There aren't any devils in this painting, just humans desiring excess....but I wonder about that person swimming with what looks like a pudding for a head. Marx Reichlich, A Jester, ca. 1519-20; tempera on panel. Finally, a painting I found fantastically compelling, with its beautifully rendered figure of the jester and his alive-looking staff. For me he has an aspect of evil, and he seems to be partaking of some bloody meal, although it may just be the egg broken on the table. 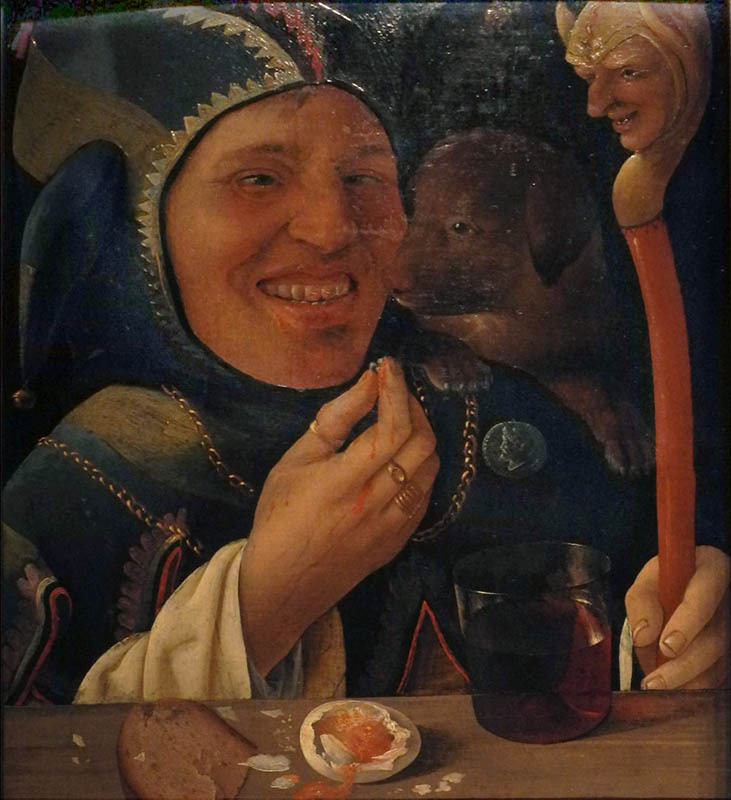 The small dog adds an air of calm innocence, so perhaps this jester is meant as a sympathetic figure, such as the jesters of Velazquez. I find it hard to believe in the Manichean outlook of Good vs Evil; it's not helpful in a complex world, but it did bring many marvelous paintings into being. This summer's hot weather has produced bumper crops of warm weather vegetables, such as tomatoes, eggplant, melons, and red-ripening peppers. I dish I love to make with red peppers is Marcella Hazan's "Roasted Red and Yellow Pepper Sauce with Garlic and Basil", from her marvelous cookbook Essentials of Classic Italian Cooking. Hazan can be relied on for simple, delicious recipes, and this is certainly one of them. I have found that it even works with peppers out of the freezer, so I can have it during winter, along with chopped basil frozen with olive oil. 1 pound pasta, Hazan recommends rigatoni or other tubular pasta. 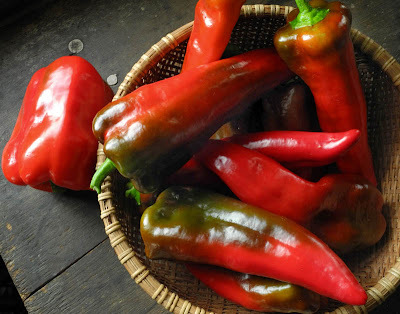 Wash the peppers in cold water, then slice lengthwise along crevices. 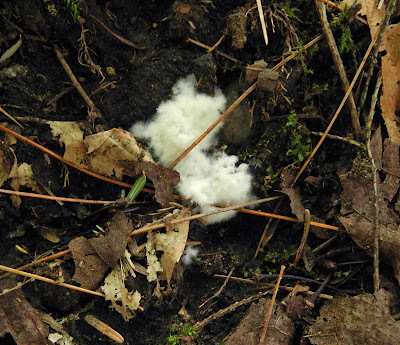 Discard seeds and pulp. Using a swivel blade peeler, peel with a light motion. (I'm not very fussy about peeling.) Cut into 1/2 inch lengthwise strips, then slice them in two. Rinse and dry the basil; tear larger leaves in smaller pieces. Use a wide sauté pan that will hold peppers without crowding. Put olive oil in the pan with the garlic cloves and brown the garlic over medium high heat, then remove it. Add peppers to the pan and cook at a lively heat for around 15 minutes, stirring often. The peppers should be tender but not mushy. (I like them to get seared, with lots of yummy burnt spots, which taste caramelized.) Add salt and remove from heat. 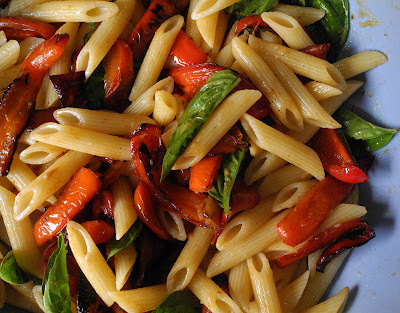 Toss the cooked pasta with the peppers, butter, parmesan and basil. Enjoy! **I'll be going to Brooklyn to celebrate Rosh Hashanah with my family. I wish all my Jewish friends a very Happy New Year! See you in a few days. Thinking of the woods we imagine browns and greens, the warmth of duff and bark, the cool living color of leaves, which turn fiery in fall. Unless it is winter, with snow covered ground, the color white seems very out of place here. 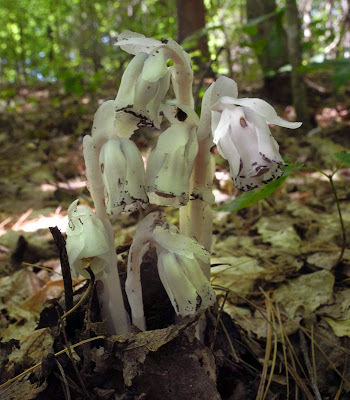 But there are white things growing in the woods, such as this Indian Pipe, which rises in mid summer, its pale flowered stalks startling against the browned leaves. "...symbolize whatever grand or gracious thing he will by whiteness, no man can deny that in its profoundest idealized significance it calls up a peculiar apparition to the soul." 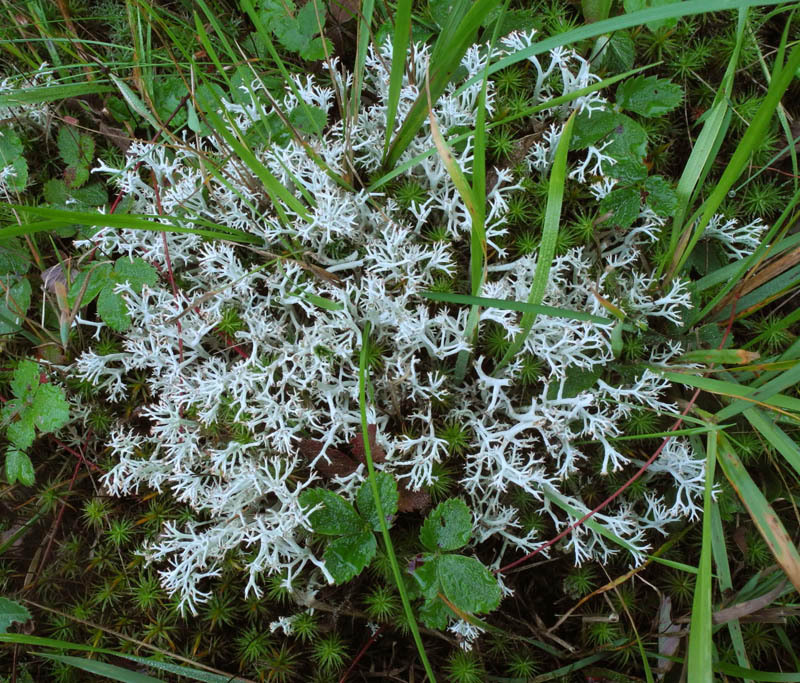 Much of the white to be seen in the woods are lichens. 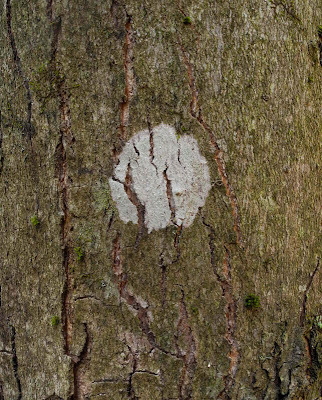 They appear as regular marks on trees, looking as though a mysterious someone went through the woods with a paint brush, carefully drawing circles or oblongs to show the way. 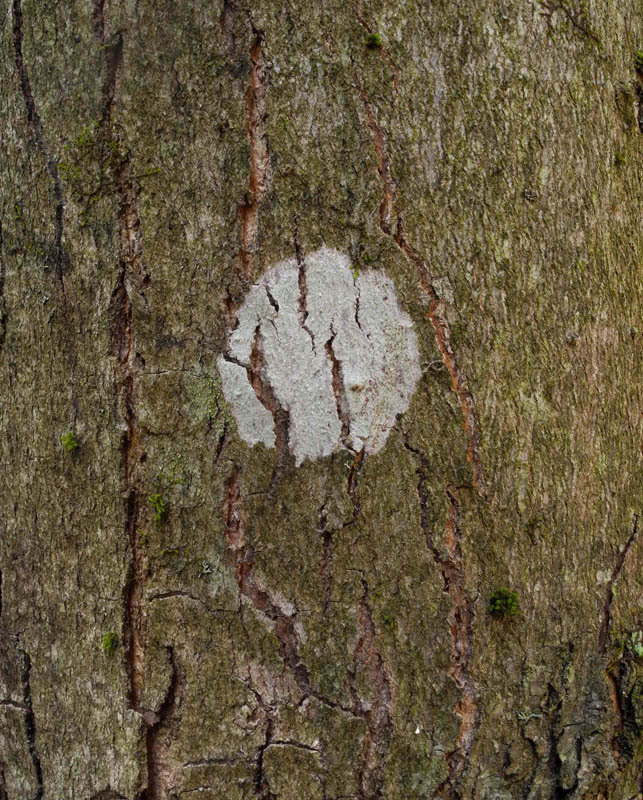 These white shapes do appear uncanny, and could call up a "peculiar apparition" to the viewer. 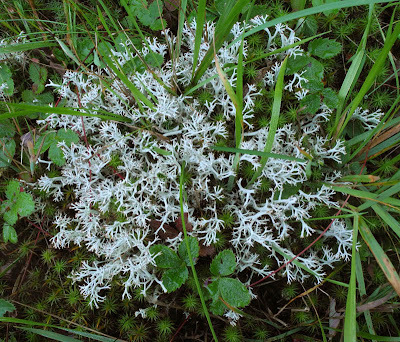 Sometimes tree trunks are covered in white, with a lichen my book appropriately calls "Whitewash Lichen". There are the bright white patches of lichens on rocks, startling on the gray, as bright as the warm green moss. Another strange sight, which can also call up a little of Melville's horror, are small white slime molds that appear on the ground. 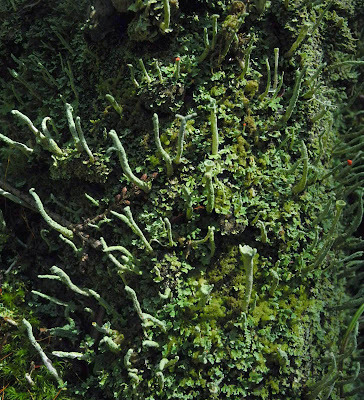 Much lovelier are lichens that appear in grassy spots, looking like undersea coral, but also seeming very out of place among the greens. 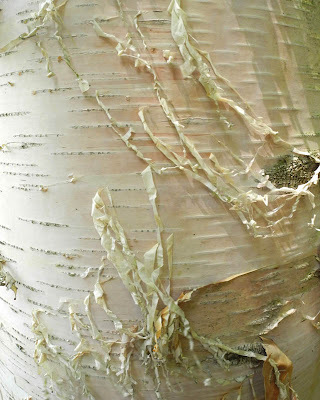 Lastly, a woodland white many of us are used to seeing and loving, the glowing warm white of birch bark. 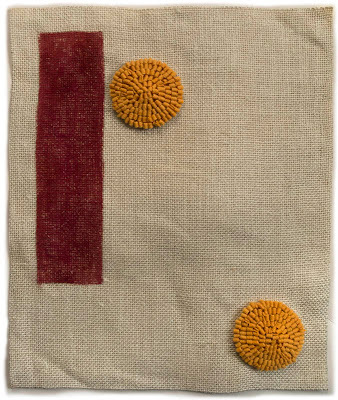 A New Painting: "Black Lozenges"
A New Textile: "Egyptian Birds", A Diptych?